Open and Shut? 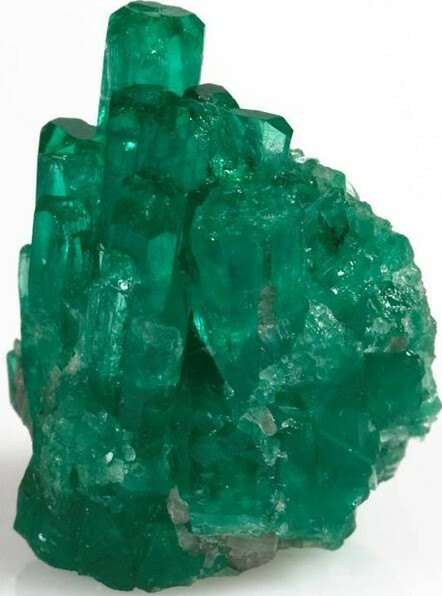 : Open Access: Emerald’s Green starts to fade? Open Access: Emerald’s Green starts to fade? When last July Research Councils UK (RCUK) announced its new Open Access (OA) policy it sparked considerable controversy, not least because the policy required researchers to “prefer” Gold OA (OA publishing) over Green OA (self-archiving). The controversy was such that earlier this year the House of Lords Science & Technology Committee launched an inquiry into the implementation of the policy and the subsequent report was highly critical of RCUK. As a result of the criticism, RCUK published two clarifications. Amongst other things, this has seen Green OA reinstated as a viable alternative to Gold. At the same time, however, RCUK extended the permissible maximum embargo before papers can be self-archived from 12 to 24 months. OA advocates — who maintain that a six-month embargo is entirely adequate — responded by arguing that this would simply encourage publishers who did not have an embargo to introduce one, and those that did have one to lengthen it. As a result, they added, many research papers would be kept behind publishers’ paywalls unnecessarily. It has begun to appear that these warnings may have been right. Evidence that publishers have indeed begun to respond to RCUK’s policy in this way was presented during a second inquiry into OA — this time by the House of Commons Business, Innovation & Skills (BIS) Committee. The Committee cited the case of a UK publisher who recently introduced a 24-month embargo where previously it did not have one. The publisher was not named, but it turns out to be a UK-based company called Emerald. Why did Emerald decide that an embargo is now necessary where previously it was not? Why do the details of the embargo on Emerald’s web site differ from the details sent to the publisher’s journal editors? And what does Emerald’s decision to introduce a two-year embargo presage for the development of Open Access? To my surprise, obtaining answers to the first two questions proved more difficult than I had anticipated. During the final evidence session in the inquiry into OA held by the UK House of Commons BIS Committee, one of the members of the Committee — Brian Binley — told the UK Minister for Universities and Science Mr Willetts that the Inquiry had been given information suggesting that the RCUK policy was having a negative impact on OA. The change in Emerald’s policy had also been picked up by Danny Kingsley, Executive Officer of the Australian Open Access Support Group (AOASG). Commenting on the AOASG blog on May 23rd, Kingsley, however, reported that the embargo only applied to papers where the author was subject to a mandate. “For these publications, Emerald have recently adopted a 24 month embargo,” she said. “The text on their site says: “if a mandate is in place but funding is not available to pay an APC [article processing charge], you may deposit the post-print of your article into a subject or institutional repository and your funder’s research catalogue 24 months after official publication”. Evidently Kingsley’s understanding of Emerald’s policy was different to Swan’s. We will come back to that. Swan’s concern, however, was not so much about the specifics of Emerald’s OA policy but that by extending the acceptable maximum embargo period to two years, RCUK would encourage publishers to take a maximalist approach to self-archiving. As a result, the number of research papers available on an OA basis would decrease rather than increase, especially if other publishers followed Emerald’s example. In the hope of confirming whether or not Emerald had indeed introduced its 24-month embargo in response to the new UK OA policy, I emailed the publisher on 27th May requesting an interview. An Emerald spokesperson responded by asking if I would agree to do the interview by email. I confirmed I was happy to do it that way — so long as I could ask follow-up questions. I added that I envisaged the need for two or three iterations. Believing that we had agreed on this format, on June 4th I emailed 12 questions over to Emerald (see below). But when I received a reply from the publisher five days later I discovered that the company had decided it did not want to answer my questions. Instead it sent me a bland statement (see below). When I remonstrated, the Emerald spokesperson asserted that “there was never any formal agreement from Emerald regarding an interview or interview-style piece”. In fact, only two of my 12 questions were about other organisations’ polices. The rest are specifically about Emerald and its OA practices and policy. Q1: Can you start by describing briefly how Emerald has responded to OA as its popularity has grown? I do not think that Emerald currently publishes any pure OA journals, but it does now offer a hybrid programme doesn’t it? Q2: It also introduced a Green OA self-archiving policy at some point. When was that? Q3: How much does Emerald charge to publish a paper OA? Q5: Can you outline Emerald’s views on the new RCUK OA Policy? Does it welcome it, regret its introduction, wish it were different in some way, or what? Q6: Science Europe appears to have taken a somewhat different approach in its recently published position statement on the transition to OA. So where RCUK favours Gold, Science Europe favours Green. In its Position Statement, Science Europe also argues that “the hybrid model, as currently defined and implemented by publishers, is not a working and viable pathway to Open Access.” Would you agree with that view, or would you support Wiley’s view that “those who drafted the Principles have neither understood the robustness of the hybrid model (using established publications with the editors and peer reviewers not knowing whether the article submitted will be ‘author paid’) nor appreciated its importance in enabling authors to continue to publish in leading titles in their field and enjoy the benefits of Gold Open Access.” Or perhaps Emerald’s position is somewhere between these two views? If so, could you outline what they are? Q7: What level of take up is Emerald currently seeing for OA, and to what extent has there been an uptick since the new RCUK policy came into effect? Q8: I understand that Emerald recently changed its Green OA (self-archiving) policy. Can you say how it changed: what was it before, and what is it now? Q9: Why was the policy changed? Was the change based on evidence that the previous policy posed a risk to Emerald in some way? If so, what evidence? Or was there some other reason for making the change? Why is it necessary to have such a long embargo? Q10: You will have seen that there has been some criticism and/or concern about the change to Emerald’s Green policy e.g. by the Australian Open Access Support Group and by SPARC Europe — see the image I sent earlier. The Business Innovation & Skills Select Committee has also expressed concern (here). During its last evidence session the Committee referred to concerns that had been raised with it by SPARC Europe’s Alma Swan, who deplored the change to Emerald’s policy and argued that it is already impacting negatively on researchers, not only in the UK but on those in Australia and the rest of the world too. The BIS Committee quoted Swan, who had told them that the change demonstrated that “the dire consequences of the UK’s policy are, as we all predicted, damaging OA all over the world. 10 years’ work in getting mandates across the globe with maximum six-month embargoes are undone (embarrassingly) by the UK.” Is this criticism in your view correct and/or fair? Why? Why not? Q11: The BIS Committee asked Ron Egginton of the BIS Team Research Funding Unit to speak to Swan and report back to them on this. Has Egginton approached Emerald directly? If so, how did Emerald respond? Q12: Would Emerald reconsider the change to its Green OA policy if requested to do so by BIS? Originally founded by academics in 1967, Emerald publishes nearly three hundred journals and a frontlist of over 150 book titles. Our authors, editors and readers are predominantly based in social science disciplines. We offer authors options for both Green and Gold Open Access. An overview of our policy, including author guidance, partnerships and FAQs, can be found at: http://www.emeraldinsight.com/openaccess.htm. Further resources relating to Emerald Author Rights are available at: http://www.emeraldinsight.com/authors/writing/author_rights.htm. Emerald does not comment on the actions or policies of other publishers or organisations, or speculate on the likelihood of changes in the regulatory environment. At all times, Emerald seeks to deliver the best quality content and services to editors and authors, and aims to provide a sustainable publishing ecosystem for the communities we serve. Emerald is proud to provide a publishing solution that satisfies our authors, and it is engaged with a number of different communities to maximise dissemination of and access to the content it publishes. An example of this engagement is Emerald’s agreement with the International Federation of Library Associations and Institutions (IFLA). Papers that have their origins in an IFLA conference or project published in one of Emerald's Library and Information Science journals can become freely accessible nine months after publication (for more information, please refer to the web page at: (http://www.emeraldinsight.com/about/news/ifla-oa-articles-2013.htm). Emerald monitors its policies closely and works with the relevant stakeholders to advance scholarly communication. By now, however, it had become apparent to me that there was a further confusion to clear up. I had been emailed a copy of a letter sent by Emerald to its journal editors on 2nd April announcing the change of policy. (This was the same letter that Swan had seen). When I compared the text of this letter to the text Emerald had pointed me to on its web site, however, there seemed to be a significant discrepancy. Specifically, the description of the policy on the Web suggests that Emerald has adopted a similar policy to Elsevier: authors who are not subject to a mandate are free to post either the submitted (preprint) or the accepted (post-print) version of their work in a repository — without payment, and without embargo. If, on the other hand, they are subject to a mandate (and have no funds to pay for Gold), they can only deposit the post-print after a two-year embargo. In other words, the letter seemed to imply that all post-prints of papers published in Emerald journals are subject to a 24-month embargo, not just those authored by researchers subject to a mandate. This discrepancy presumably explains why Swan and Kingsley arrived at a different understanding of the details of Emerald’s policy. Swan had been working from the letter sent to Emerald’s editors, Kingsley from the text on the web site. So I contacted Emerald again and asked them if they wished to comment on this discrepancy. Q1: Which policy is the correct one: the one on the web site or the one detailed in the letter to Emerald’s editors? Q2: Has the policy been changed, and then changed back? Q3: Has the letter to editors been retracted if the policy's changed back? Q4: Why has the policy changed back? Authors may use the Green OA route and deposit the pre- or post-print version of their paper in their institution’s repository or on their personal webpages immediately on publication. If an author is mandated to make their research openly available, we offer the Gold route and authors may pay the APC to make the published version of their paper open access via the Emerald platform under a CC BY licence immediately, or they may place the post-print version of the paper in a repository 24 months after publication. If an author does not have funding for an APC but has a mandate to deposit their paper with a shorter or no embargo at all, we invite authors to contact us in the first instance. We fully consider all requests made; this is reflected in our policy under ‘Institutional mandates’ on our Author rights page and our Open Access page. A letter was circulated to editors to inform them of the introduction of the Gold route for authors. A further email was sent to editors to correct and clarify certain points before we shared the information with authors, in particular the Green OA route through voluntary deposit. Emerald maintains an open and constructive dialogue with our communities on our policy. We are forming a group of editors and advisers from across the disciplines in which we publish and from different countries, to share views and to help shape our approach in the mutual interests of our authors and the titles; we feel this is the most appropriate way to engage with our stakeholders on open access. For example, we have a relationship with IFLA whereby research that is first showcased at their conference and later published as an article in an Emerald journal will be made freely available after 9 months. In order to avoid information being taken out of context, we choose to point readers to our policy statements whenever possible; these will be continuously reviewed through engagement with our communities and as new developments in Open Access emerge globally. That would seem to clarify the details of Emerald’s Green OA policy. How Emerald arrived at this policy, and why, is another matter. That said, I have been told that the journal editor who received the letter from Emerald which was forwarded to me has yet to receive any follow-up letter correcting and clarifying the first letter. One must assume, therefore, that some confusion remains over Emerald’s OA policy. As noted by Swan, Emerald’s embargo is entirely conformant with the RCUK policy, and there is no suggestion whatsoever that the publisher has done anything improper. However, I cannot help but think that some important unanswered questions remain, not just why Emerald felt it necessary to introduce an embargo without any apparent evidence that unembargoed access is harmful to its interests, or profits, but what it is doing to prevent so-called “double dipping”. The first point is worth underlining because publishers have never produced any credible evidence that Green embargoes pose any kind of threat to them. Where publishers have cited evidence it has been far from persuasive (See here for instance). Why does any of this matter? It matters because the profits made by scholarly publishers (which OA advocates believe are ‘obscenely high’) are derived from public money. It therefore surely behoves both publishers and the research community to spend that money wisely. Yet it must be doubted that the money being spent on scholarly communication today is being spent wisely — both the money spent on subscription publishing and the money now being spent on the OA publishing model championed by RCUK. For the same reason it also behoves publishers to speak publicly about their policies, and to explain the reasoning behind any new access restrictions they introduce through Green OA embargoes. For OA advocates the frustration is that they warned the world about the potentially damaging effect of RCUK’s policy; specifically they warned that collateral damage would be caused if publishers lengthened their embargoes in response to the policy. It is for this reason that Swan is less concerned with the specifics of Emerald’s policy, more with the likelihood that it prefigures a wider move by publishers to change their Green OA policies, and thus (in the short term at least) reduce, rather than increase, the number of papers available on an OA basis. Kingsley’s blog post suggests that this fear could be real: she points to a number of other publishers who have recently imposed stricter self-archiving restrictions, some of whom directly reference RCUK. Emerald’s introduction of an embargo certainly suggests that Green OA will begin to fade as an option for its authors. The larger question is whether Emerald’s move signals the start of a more general fading of Green OA. After all, if research funders make money available for Gold OA, and tell researchers to prefer Gold over Green, it would seem logical to assume that publishers will seek to gradually extend their embargoes, to the point where Green OA becomes moot. But does it matter if Green OA does fade away? After all, most view it as no more than a transitional strategy anyway. Yes, it does matter, argue OA advocates. It matters not just because it would mean that fewer papers would become freely available in the near term, but because Green OA offers the research community the only viable way of reducing and controlling the excessively high costs of scholarly publishing in the long term. Many thanks for the opportunity to respond further to your article; we recognise from a number of points that you make that there is still confusion regarding Emerald's OA policy. Emerald has had a Green OA policy for over a decade. We have supported authors who personally wish to self-archive their pre- or post-print version of the article on their own website or in a repository; authors can do this immediately on publication of their paper. We have also always stated that the policy does not extend to the systematic uploading of papers by third parties. On the 1st April, Emerald introduced a Gold OA model to provide authors, who are working with formal and systematic requirements by third parties to make their research open access, with a number of additional options. Authors can make their article open access immediately on publication with an APC of £995. Alternatively, they can choose to place their post-print in a repository 24 months after publication at no charge. We do appreciate that some authors are required through systematic mandates to make their articles immediately open access but are not provided with any funds to do so. Therefore, as previously stated, we invite all authors in this situation to contact us and we will consider their case fully. We recognise and also apologise that the email to our editors on the 1st April focused on the explanation of the Gold route and did not clearly reflect our wishes to continue with the same terms of voluntary deposit through Green Open Access. We sought to address this quickly with a second email to editors on the 16th April clarifying the Green position. This email went to all editors and we have also reached out to them with a phone call to explain the processes ahead of their conversations with authors and the wider public. If any editor has requested additional explanation, we have been pleased to talk to them directly. We would ask that your readers refer to our policy on the website, as this will be kept up to date at all times. As regards the potential for 'double dipping', we do not consider this a likely scenario for Emerald due to the low number of papers published using an APC in relation to overall increases in output. However, we will monitor the situation closely to ensure that customers are not charged incorrectly. The Perverse Effects of the Finch/RCUK Policy: Besides being eager to cash in on the double-paid (subscription fees + Gold OA fees), double-dipped over-priced hybrid Gold bonanza that Finch/RCUK has foolishly dangled before their eyes, publishers like Emerald are also trying to hedge their bets and clinch the deal by adopting or extending Green OA embargoes to try to force authors to pick and pay for the hybrid Gold option instead of picking cost-free Green. The Antidote to the Perverse Effects of the Finch/RCUK Policy: To remedy this, both funders and institutions need merely (1) distinguish deposit-date from the date that access to the deposit is made OA, (2) mandate immediate-deposit, and (3) implement the repository's facilitated eprint request Button to tide over user needs during any OA embargo. All funders and institutions can and should adopt the immediate-deposit mandate immediately. Together with the Button it moots embargoes (and once widely adopted, will ensure emargoes' inevitable and deserved demise). And as an insurance policy (and a fitting one, to counterbalance publishers' insurance policy of prolonging Green embargoes to try to force authors to pay for hybrid Gold) funders and institutions should (4) designate date-stamped immediate-deposit as the sole mechanism for submitting published papers for annual performance review (e.g., the Liège policy) or for national research assessment (as HEFCE has proposed for REF). "you may deposit immediately if you needn't, but not if you must"
* Requiring publication in journals that meet Research Council ‘standards’ for Open Access. * No support for publisher embargoes of longer than six months from the date of publication (12 months for research funded by the Arts and Humanities Research Council (AHRC) and the Economic and Social Research Council (ESRC)). Subsequent revisions of this policy have removed all three of these policies: Green-OA papers may now be encumbered by commercial clauses, RCUK has said it will not enforce its journal standards, and the maximum six-month embargo for STM publication has quadrupled to 24 months. The irony here is that the House of Lords select committee criticised RCUK for "lack of consultation" when in fact it had circulated this initial policy for comments; and then RCUK threw out all its progressive promises without consuktation -- except, evidently, with the publishers to whom it so cravenly capitulated. Where was the consultation on the 24-month embargoes now being exploited by "publishers" like Emerald? There was none: suddenly, from out of the blue, the Publishers Association's "decision tree" appeared bearing the legend "endorsed by BIS and RCUK". On whose mandate? BIS and RCUK both exist to spend taxpayers' money: when did taxpayers give their consent to quadrupling embargoes? The whole thing makes me want to weep. By this stage in the proceedings, we expect barrier-based publishers to act against the interests of every other party. What we don't expect it for our elected representatives to collude. Further background on Emerald can be found here. See also here and here. Rebecca Marsh, Director of External Relations and Services, Emerald Group Publishing Limited & Tony Roche, Publishing Director of Emerald Group Publishing Limited have posted their defence of the Emerald policy changes reported by Richard Poynder: "Open Access: Emerald's Green Starts to Fade". (1) All Emerald authors may do immediate, unembargoed Open Access self-archiving if they wish, but (2) not if they must. If they must self-archive, they must wait 24 months or ask individually for permission. The sensible Emerald author will self-archive immediately, and ignore clause (2) completely. It is empty, unverifiable, unenforceable, pseudo-legal FUD that has been added as a perverse effect of the folly of the UK Finch Committee recommendations. The Emerald policy tweak is obviously to cash in on the money that the UK has decided to squander on pre-emptive "Fools Gold" OA, as well as to try to fend off universal Green OA as long as is humanly possible. Below I reproduce the Emerald representatives' posting's text, cutting out the empty verbiage, to make the double-talk clearly visible and comprehensible. "Emerald has... requested that authors wait 24 months before depositing their post-prints if a mandate is in place. Where a mandate exists for deposit immediately on publication or with a shorter mandate but no APC fund is provided, we invite all authors to contact us..."
Plans by universities and research funders to pay the costs of Gold OA pre-emptively today are premature. Funds are short; 80% of journals (including virtually all the top journals) are still subscription-based, tying up the potential funds to pay for Gold OA. Hence, for institutions, paying pre-emptively for Gold OA today means double-paying -- subscriptions for their incoming articles plus APCs for their outgoing articles-- and in the case of "hybrid Gold," when both sums are paid to the very same journal, it also means double-dipping by publishers. Even apart from double-paying and double-dipping, the asking APC price per article for Gold OA today (whether "pure" or "hybrid") is still inflated; and there is concern that paying to publish may also inflate acceptance rates as well as lower quality standards to maximize revenue in the case of "pure Gold" OA. What is needed now is for all universities and funders worldwide to mandate OA self-archiving (of authors' final peer-reviewed drafts, immediately upon acceptance for publication) ("Green OA"). That will provide immediate OA; and if and when universal Green OA goes on to make subscriptions unsustainable (because users are satisfied with just the Green OA versions) that will in turn induce journals to cut costs (phasing out the print edition and online edition, offloading access-provision and archiving onto the worldwide network of Green OA Institutional Repositories), downsize to just providing the service of peer review, and convert to the Gold OA cost-recovery model; meanwhile, the subscription cancellations will have released the funds to pay this residual service cost. The natural way to charge for the service of peer review then will be on a "no-fault basis," with the author's institution or funder paying for each round of refereeing, regardless of outcome (acceptance, revision/re-refereeing, or rejection). This will minimize cost while protecting against inflated acceptance rates and decline in quality standards. This is the difference between today's pre-emptive pre-Green double-paid, double-dipped over-priced pre-Green "Fools Gold" and tomorrow's affordable, sustainable, post-Green Fair Gold. Harnad, S. (2010) No-Fault Peer Review Charges: The Price of Selectivity Need Not Be Access Denied or Delayed. D-Lib Magazine 16 (7/8).